We pay Cash for Gold in Chula Vista. Located at the Chula Vista Jewelry Exchange, Cortez Gold Buyers is standing by to pay immediate cash for your gold items. Cash for Gold Chula Vista. Cortez Jewelry Buyers Chula Vista pays cash for gold, silver, diamonds, coins, watches and jewelry. Looking to turn gold into cash in Chula Vista? You have come to the right place. Cortez Cash for Gold buys all types of gold items and we pay cash on the spot. There are many places where you can sell your gold in Chula Vista. Once you come to Cortez Gold Buyers in the Chula Vista Jewelry Exchange, you will see why our customers keep coming back and referring others to us when they want cash for gold in Chula Vista. We will take care of you and pay you high payouts for your gold items. Any gold items you have, bring them in and get high payouts on the spot. What else does Cortez Cash for Gold pay cash for? We also pay Cash for Silver sets in Chula Vista and Cash for Silverware in Chula Vista. Cortez Gold Buyers is your one stop shop for getting cash for jewelry in Chula Vista CA. Get cash for gold in Chula Vista today. Just come down to our store located at the Chula Vista Jewelry Exchange. Our address is 255 3rd Ave., Chula Vista, CA 91910. That is in Downtown Chula Vista located on 3rd Avenue between E Street and F Street (cross street is 3rd and Davidson Street which is right on 3rd Avenue in Down Town Chula Vista. Cash for Gold in Chula Vista is proud to be your #1 source for Cash for Gold in Chula Vista CA. Are you looking to cash your gold in Chula Vista ? Then you have come to the right place. 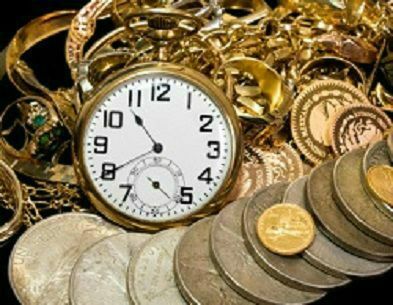 We pay high payouts for your gold and pay you cash for gold on the spot, no waiting, no hassle. 3) We pay you on the spot in cash for your gold in our Chula Vista Jewelry Store. Getting Cash 4 Gold in Chula Vista is as easy as 1,2,3. Call us today at (619)270-1132 or just come in, no appointment necessary. There are many places near me to get cash for gold in Chula Vista CA 91910. Which one should I go to? The answer is Gold Buyers Near Chula Vista CA 91910 are many. You should come into our store on 3rd Avenue between E & F Street, whether we are your first stop or your last stop and check out the prices we offer for cashing your gold. Gold Buyers Chula Vista will give you a high offer for all your gold jewelry, dental gold and broken gold. We think you will like our offer and we will pay you cash on the spot. If you are looking for cash for gold in Chula Vista check us out, you may be happy with the payouts you get! Make Cortez Gold Buyers in Chula Vista your number one place for selling your gold for the high cash for gold payouts in Chula Vista. If you are looking to pawn jewelry, diamonds or watches in Chula Vista, we provide collateral loans in Chula Vista with loan amounts of $2,500 or higher. Our pawn shops in Chula Vista are discreet and all transactions are confidential. Call Cortez Cash for Gold Chula Vista us today at (619)270-1132 or click here to contact us.